Stepaniv, Olena [Степанів, Олена], b 7 December 1892 in Vyshnivchyk, Peremyshliany county, Galicia, d 11 July 1963 in Lviv. Military and community figure and educator; wife of Roman Dashkevych, mother of Yaroslav Dashkevych. 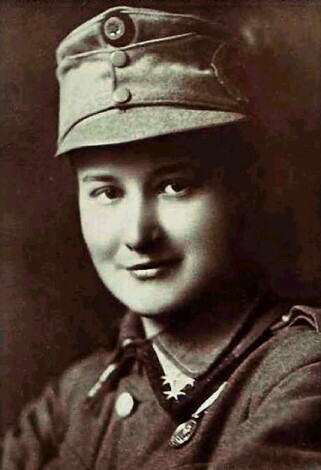 As a student at Lviv University she commanded a women's platoon in the Ukrainian Sich Riflemen society (est 1913). 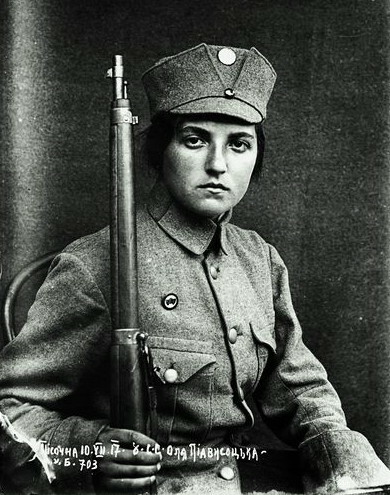 During the First World War she joined the Legion of Ukrainian Sich Riflemen and fought in the battle for Makivka. She was decorated for bravery and promoted to second lieutenant. 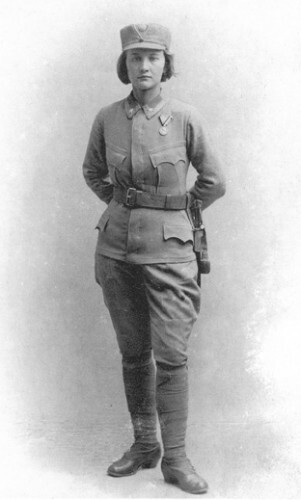 After being interned in a Russian prisoner of war camp in Tashkent (1915–17) she served on the legion's Supreme Military Board, which organized the 1918 November Uprising in Lviv, and commanded a platoon in the Ukrainian Galician Army (1918–19). In 1919 she was a press representative in the Ministry of Foreign Affairs of the Ukrainian National Republic in Kamianets-Podilskyi. After the war she received a PH D in history and geography from Vienna University and then taught at the Basilian Sisters' gymnasium in Lviv. Forbidden to teach by the Polish authorities in 1935, she became director of the Ridna Shkola society's guidance department (1935–7) and director of the Secretariat of the Organizational Division of the Audit Union of Ukrainian Co-operatives. During the 1939–41 Soviet occupation she resumed teaching and headed the Statistical Administration in Lviv. In 1944–6 she lectured at Lviv University and oversaw the Academy of Scences of the Ukrainian SSR’s Sector of Economics and Industry in Lviv. Incarceration in a labor camp in Mordovia for being a Ukrainian patriot (1949–56) undermined her health. Stepaniv wrote over 75 works, including memoirs of the years 1912–14 (1930; repr 1968), a reference book on health co-operatives (1930), and a book on contemporary Lviv (1943; repr 1953).